Jeep’s Cherokee crossover has finally got rid of the strange look. The refreshed vehicle is scheduled to arrive at the upcoming 2018 Detroit Auto Show, yet the carmaker released a few shots ahead of the debut. 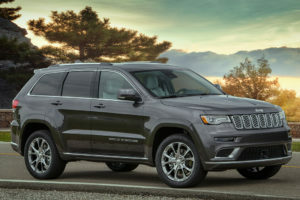 We can’t really measure whether the 2019 Jeep Cherokee looks better from its predecessor of not, but it certainly delivers more normal look. That’s largely thanks to a pair of new headlights, which don’t feature a dual setup anymore. 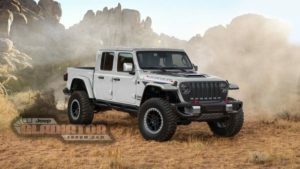 Instead, the interesting high-riding vehicle uses a combined unit, just as the rest of Jeep’s current lineup. 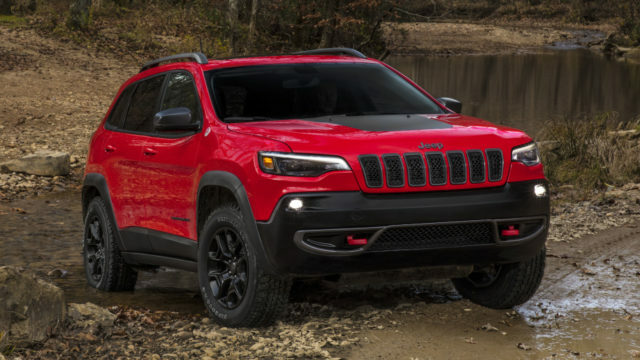 The 2019 Cherokee isn’t going to bring just a pair of attractive headlights. No, the SUV sports a slightly restyled grille and new bumper in the front, as well as a totally redesigned rear bumper. The rear hatch is also featuring a completely new place for a license plate. Still, the biggest change around back is new taillights. Thanks to them, the overall back end looks wider. As for the rest of the exterior design, it’s going to stay pretty much untouched. Though, Jeep may add a few new exterior paints and perhaps some new wheel design. 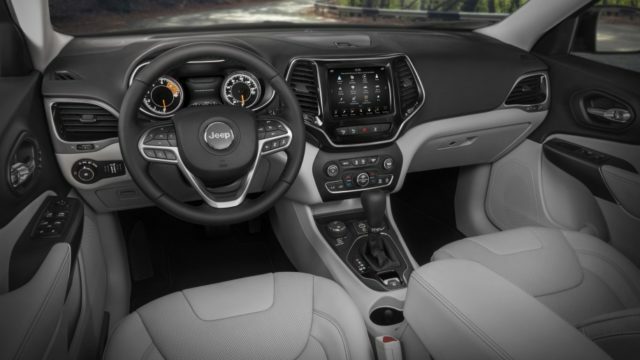 The single interior photos show that the 2019 Jeep Cherokee is going to have pretty much the same cabin as the predecessor. There are a few touches at the dash, while we also expect an updated version of the infotainment system. 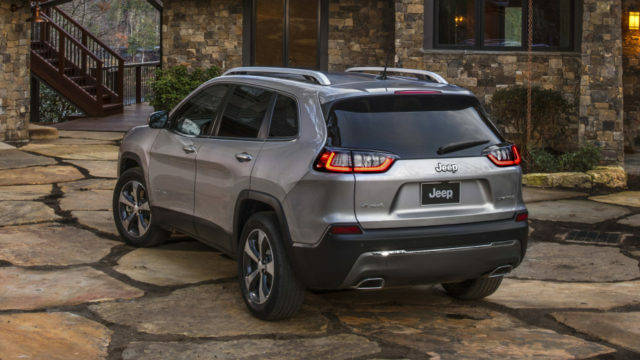 According to the car manufacturer, the new Cherokee SUV will improve its fuel economy figures. The vehicle will still use the existing 2.4-liter inline-four and 3.2-liter V-6, but both of them will be updated and improved. The carmaker may add one more unit beneath the hood, most likely the new 2.0-liter turbo, but that’s not confirmed yet, so we have to wait for the official confirmation. Like we said, the refreshed Jeep Cherokee is going to arrive in a few days at the 2018 NAIAS, so stay tuned for updates. Toyota FT-4X Concept: Is This A Comeback of The Iconic FJ40 Land Cruiser?